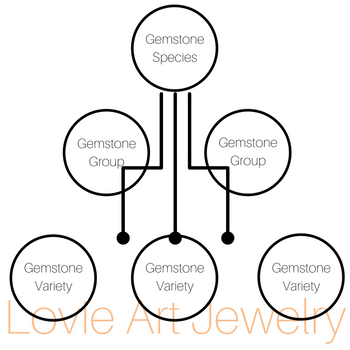 Lovie Art Jewelry: What Makes a Gem a Gem? What Makes a Gem a Gem? When you think of gemstones, your mind is likely immediately filled with images of sparkling diamonds, fiery rubies and deep-blue sapphires. But what actually classifies a gemstone to become a recognized precious item? Previously, we talked about how gemstones are formed in nature. In today's blog, we'll be talking more in depth about what classifies a mineral as a gem. If you didn't already know, gemstones are, in fact, minerals. But as you might have already guessed, “mineral" is a very broad term. It includes every naturally occurring substance with a highly ordered atomic structure which has been formed through a geological process, such as volcanic activity. 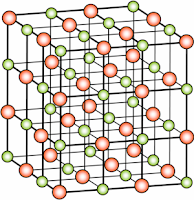 When scientists talk about ordered atomic structures, they are referring to how a material's molecules are arranged. 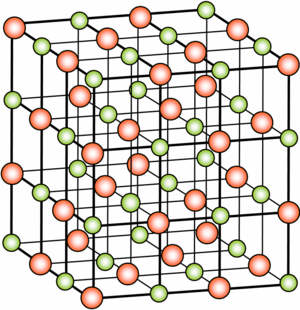 A mineral always consists of molecules which are arranged in a highly ordered fashion. This neat arrangement is what gives gemstones their crystalline appearance. 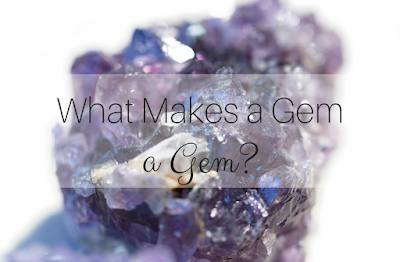 Although gems are a sub-class of minerals, it's not always so easy to categorize them neatly. Throughout history, certain rocks like the lapis as well as organic materials such as amber and jet have been referred to as gemstones because they commonly appear in jewelry. Even today, we continue to refer to amber and lapis as “gems”. As you can see, the classification of gems can be a bit tricky. What about other ways of classifying gems, such as availability and hardness? Although we generally think of gemstones as rare and unbreakable, neither of these specifications are capable of properly classifying gemstones either. Amber, which is classified a gemstone, is relatively soft with a hardness number of only 2.5 on the Mohs scale. To give you an idea of how amber compares to other minerals, that’s only about twice as hard has talc and a tad softer than calcite. And not all gemstones are rare; in fact, most are not. Because gemstone classification isn’t all black and white, Gemologists ultimately choose to classify gemstones based on their chemical makeup and their crystal structure. There are currently over 130 different species of minerals that can be cut into gems. You've probably heard of some if not all of these species. That's because when we talk about gemstones, we commonly refer to them by their overarching terms. 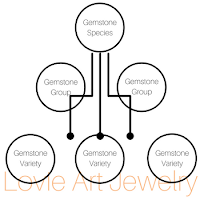 In fact, many gemstone species break down further into gemstone varieties. For example, gemstone varieties of quartz are amethyst and citrine, and the commonly known garnet includes varieties that are purple, orange, yellow and green. Some groups of gems stand alone and have no varieties at all. These include the diamond, topaz and turquoise. The world of gemstones is fascinating and complex. For additional fun facts about gems, check out our gemstones resource page. If you’d like to know more about a certain aspect of gems, leave your suggestion in the comment box below!